We are pleased to offer for sale this 5 Pack of Record Sleeves by BCW. 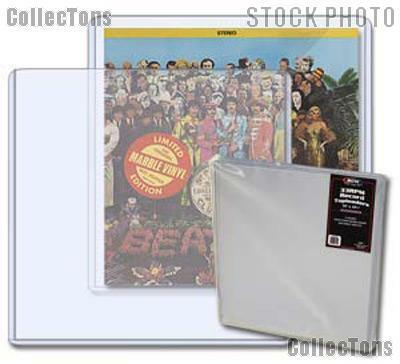 These Record Topload Holders for 33rpm Albums are made from high impact grade rigid PVC. The PVC used in the Record Sleeve contains no plasticizers or stearates and will not harm your records. 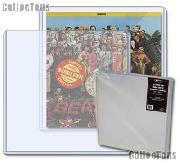 The super clear plastic makes the Record Sleeves a perfect way to showcase and preserve your collectible records. The 33rpm record album slips right into the top of the Record Sleeve. These top loading rigid Record Sleeves are new from our inventory and come in a pack of 5. Each Record Sleeve measures 13 15/16" x 13 3/8" on the exterior and 13 1/2" x 13 1/8" on the interior with a thickness of 3.5mm.